Charcoal represents one of man’s very first technological achievements; it was in use as early as 200,000 B.C. When wood is burned slowly without oxygen it produces charcoal. The charring removes the water and most of the flavor-producing chemical compounds of the wood, leaving a carbon-rich fuel that burns hot, cleanly, and efficiently. Charcoal also produces a more concentrated fire. No wonder the vast majority of the world’s grill masters burn charcoal. But not all charcoals are the same. Here’s a scorecard to help you identify the players. 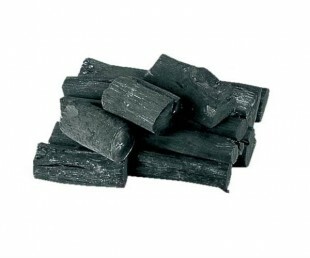 Lump charcoal: Sometimes called charwood or natural lump charcoal, this is the original charcoal, made by burning trees or logs in a kiln, sealed cave, or even underground. Unlike briquettes, lump charcoal is pure wood—free of binders or petroleum-based accelerants. Lump charcoal burns hot, cleanly, and pure. You can refuel a lump charcoal fire with unlit charcoal without producing the acrid smoke associated with freshly lit briquettes. 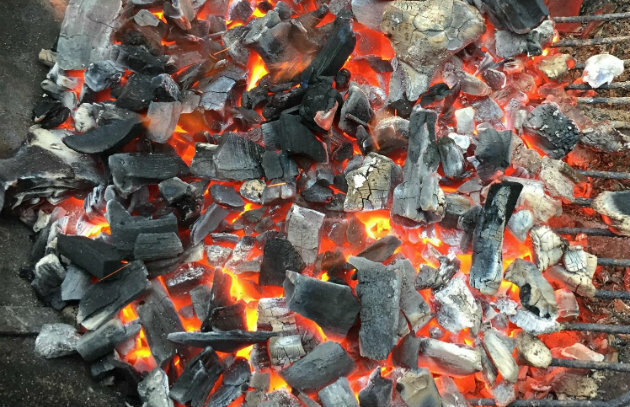 However, natural lump charcoal burns unevenly, hotter at the beginning, cooler at the end, and it burns out more quickly than charcoal briquettes. When you grill with lump charcoal you’ll need to refuel the grill more often than with briquettes, usually after 30 to 40 minutes. Avoid “lump” charcoal that comes in straight-edged rectangular blocks—it’s made from lumber scraps, not logs. One excellent widely available brand is Royal Oak. For something a little more exotic, try Fogo Premium Hardwood Charcoal. Charcoal briquettes: These are designed to burn evenly and maintain a steady “broiling” temperature of at least 600 degrees F for 1 hour. Traditional briquettes contain wood scraps, sawdust, coal dust, borax, and petroleum binders, so it’s not surprising that they emit an acrid-tasting smoke when first lit. 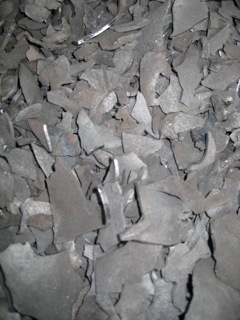 Instant-light charcoal consists of briquettes saturated with lighter fluid. The acrid smoke disappears once the charcoal glows orange and begins to ash over, but you’re still grilling over borax, coal dust, and petroleum binders. And, although the petroleum-based accelerants of instant-light charcoal burn off in theory, they can produce an oily taste when less than completely lit. “Natural” briquettes, which contain only wood scraps and starch binders, are meant to eliminate these problems. By the way, the contestants at barbecue competitions like those at Memphis in May and Kansas City’s American Royal use briquettes and win big. Click here to find some in our store. Binchotan: Japan’s superpremium lump charcoal (actually it comes in branchlike cylinders), binchotan is used in top yakitori parlors throughout Japan and in the United States. Binchotan is traditionally made from ubamegashi oak in mud-sealed caves in southwest Japan. It burns very clean and very hot, producing no discernable charcoal flavor. However, it is very expensive; a single piece can cost several dollars. And, binchotan takes a long time to light. Use a chimney starter or electric starter or a blowtorch and allow yourself at least 30 minutes for the coals to catch fire. Once the charcoal is lit, however, it burns for a long time. You can find it here. Coconut shell charcoal: Coconut husks make a fuel that fires tens of thousands of saté grills in Thailand and beyond: coconut shell charcoal. Quick to light, hot burning, and sold in small pieces, it’s the perfect charcoal for the small grills used by Asian street vendors. Although coconut shell charcoal is hard to find in the United States, if you do get your hands on some, use it to fire up your hibachi. You’d need an awful lot of coconut shell charcoal to fire a large North American charcoal grill. Here’s one variety in our store. 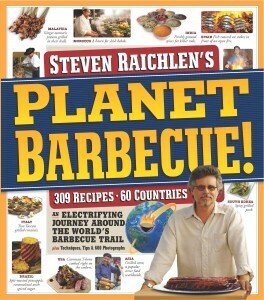 For more information on the tools, fuels, and techniques of grilling, click here.